Ashraya plays kirtan regularly at The Mantra Room on the Gold Coast. They also play at retreats, kirtan events and sacred music festivals both locally and nationally. They have developed a flair for presenting unique and creative approaches to kirtan. 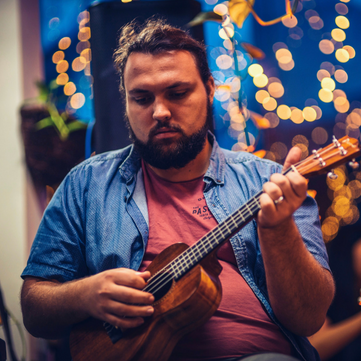 From traditional harmonium chants to gorgeous acoustic candlelight kirtans to “rock out kirtan parties” mixed with touches of country, indie rock/pop and groovy world fusions. Kirtan brings them joy and they find happiness sharing it with everyone they meet. Ashraya is playing at Earth Day GC 2017 on the main stage from 2 PM - 2:30 PM. Please come and join the fun! We will hold the multi-cultural festival “Earth Day GC” at Country Paradise Parklands in Nerang, Gold Coast on the 22nd April – 11am to 6.30pm. Please join us to play in the park with your children. We offer many activities for the family, which include arts, crafts, Live music and a DJ. Live Japanese drumming workshops. Yoga & Zumba free classes for all to enjoy. Health and wellbeing workshops. Plenty of dancing. Markets and food stalls on site. We look forward to seeing you there. Money received will be donated to the Fukushima Children’s Charity. Many Japanese citizens are still suffering from the Fukushima nuclear disaster. Our planet is also our mother. Our bodies are built from the gifts of Mother Earth. 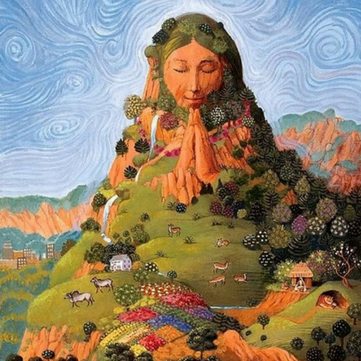 She provides nourishment throughout our lifetime and when we leave these bodies, they will return to the embrace of Mother Earth. However, as a society we have lost our harmonious relationship with our mother. The path of yoga leads to a transformation in consciousness reuniting us in harmonious connection with each other, with the Lord and with Mother Earth. Join us for a beautiful celebration for Mother Earth through meditation, kirtan, yoga wisdom talk and conscious community. 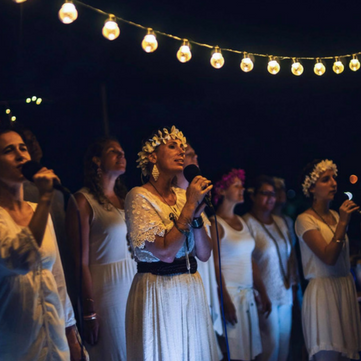 Kirtan band Ashraya will be leading an evening of Mantras on the Mount. Ashraya means "shelter" and the sacred mantras that the band Ashraya shares are the perfect shelter for a person to weather the storm of material life. Great music, sweet melodies and beautiful mantras sung beautifully. All of these elements combine to create an experience that will not only carry you away from the stresses of your life for the evening, but will actually give you a positive feeling of inner joy and happiness. The sacred sound vibrations (mantras), that the band Ashraya offers, have been passed down by great yogis since time immemorial, therefore they are imbued with a deep spiritual potency. Timeless mantras and contemporary music are brought together to create a genuine yogic experiance, a blissfull experience of divine loving union. 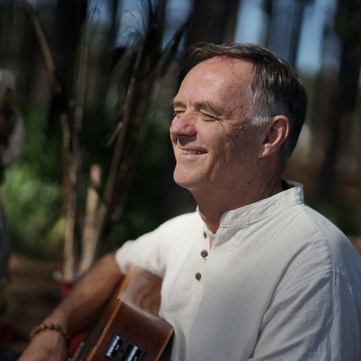 Kirtan leader Radha Krishna das will also be sharing some deep spiritual insights that come from, close to 40 years of studying the teachings of great yoga teachers, found in the vedic literatures of ancient India. Contrasting his voice, the sweet melodies of Madya Lila dasi will bring tranquility to the heart of every listener. The evening also includes a delicious vegetarian meal and is run by donation. Meditation is a time tested and proven process that enriches, improves and enhances your life.This practical, hands-on workshop will give you the tools you need to transform your life with meditation. Including face to face time with your meditation mentors and 21 days of online support, you'll establish a firm foundation for adding this ancient practice to your life in a way that is sustainable for your unique situation. A mothers day with a difference! 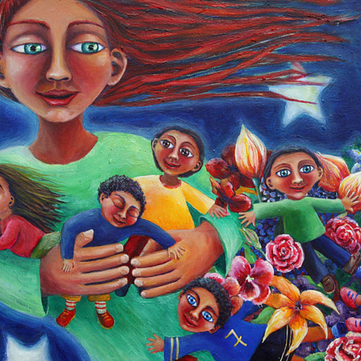 Join us for a special event celebrating and sending love to all mothers, near and far. 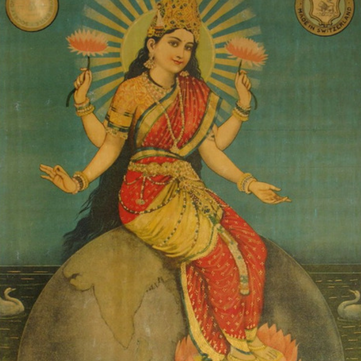 The vedas speak of us having seven mothers including our birth mother, the mother who nurses us, the wife of a teacher, the queen, mother cow and mother earth. Mother's Day is a special occasion to celebrate the warm and wonderful nurturing love of our mothers and to reciprocate with our heartfelt, thankful love. This is the perfect opportunity to spend quality time with your mum. Picture this perfection: a beautiful starry full night, crisp winter air, set in the rolling hills of Bilambil at Nadia Retreat Centre. Loose yourself in the meandering, mystic gardens, decorated by fairy lights with a warming bonfire as the centre of the gathering. We’ll be roasting vegan marshmallows and connecting with like-minded souls, all while resting in the sacred sounds of kirtan. We’ve got it happening! 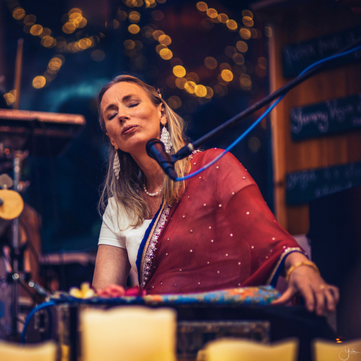 Join Ashraya for a magical night of soulful kirtan, nourishing food, spicy sweet chai, and all around good times, surrounded by our welcoming conscious community here on the Coast. There’ll be everything from laid back kirtan sessions to spirited rockouts dancing around the fire; sing your heart out well into the night. Experience the beauty and warmth transcendental sound on Friday nights at The Mantra Room. Warm, glowing candlelit room, small intimate gathering, casual vibe, plenty of beautiful acoustic kirtan, short gem of yoga wisdom, sharing dessert and drinks at the end of the night. Find yourself a comfy seat, close your eyes and be swept away by the beauty of transcendental sound. An amazing weekly gathering of over 100 people raising their voices and hearts in sacred song. The evening begins with soothing, harmonium chants and a beautiful breath meditation, followed by tunes for dancing later in the night plus a talk on the wisdom of yoga and a delicious vegetarian meal. 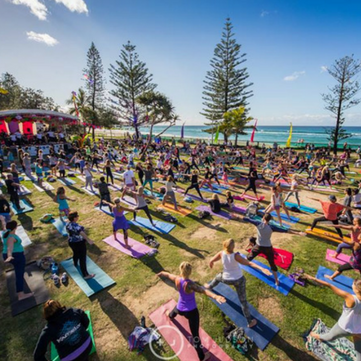 This year we are hosting an outdoor yoga session at Justin’s Park, nestled right in front of the beautiful Burleigh Heads beachfront. Leading the session will be a variety of handpicked local teachers who will be taking you on a fun and inspirational journey through flowing asanas, sacred music, guided meditations and a long and luxurious relaxation in the warmth of the gentle Winter sun. BHAKTI SOUL DANCE | THE YOGA DAY FESTIVAL CELEBRATIONS CONTINUE! Dancing comes from the soul. To move, to dance and to be free is an expression of the soul, part of our very being. So what happens when we connect the soul’s innate desire to dance with transcendental sound vibration? All burdens, worries and fears fly away and are replaced with bhakti (spiritual love) within the heart. Bhakti Soul Dance is the physical expression of movement and rhythm that accompanies the sacred practice of kirtan. It’s an opportunity to connect to the Divine and literally dance your cares away! 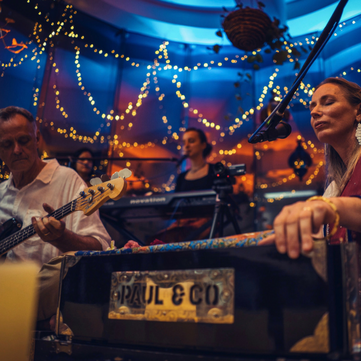 Enjoy the fun and freedom that Bhakti Soul Dance offers with kirtan band Ashraya and amazing yoga dance teacher, Amy King. It will be an unforgettable night of great music, ecstatic dance and transcendental bliss! Are you ready for the most amazing winter evening yet? If this sounds like the perfect night out then register now for this amazing event! The night will be co-hosted by our beautiful friends at Nadia Rainforest Retreat - a sacred sancturay nestled in the hills of Bilambil. We'll arrive as the sun starts setting, and cosy up to the warmth of the tall bonfire flames. Imagine hay bails, colourful rugs and lanterns, warm hearty soup, and time to relax by the fire. Gaze up at the stars and watch the full moon rising. Lose yourself in the music while you dance around the fire. Drum, hoop, fire twirl - or simply sit and take it all in. Bring your friends, or come alone and make new ones! Fear of death is a major cause of human suffering. Would you like to live a joyful, purposeful life and face death fearlessly? 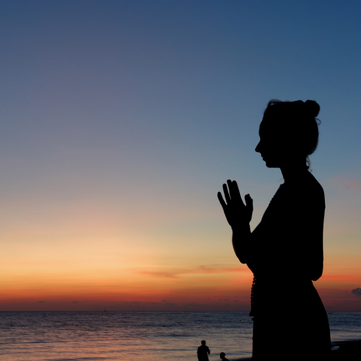 Explore the yogic perspective of death. Join longtime yoga lifestyle practitioners Radha Krishna das and Madya Lila dasi for a night of community, delicious food, and sacred sounds! 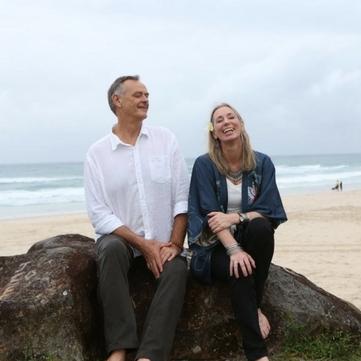 Coming all the way from the Gold Coast, this is a rare opportunity to hear and inquire from them about all things yoga philosophy and meditation - which they have been living and sharing for 30+ years! Come along and enjoy beautiful kirtan, relax, and share a meal with like-minded people under the stars! 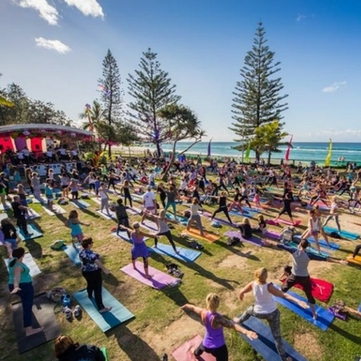 Kirtan is coming to Mindil Beach Markets!! 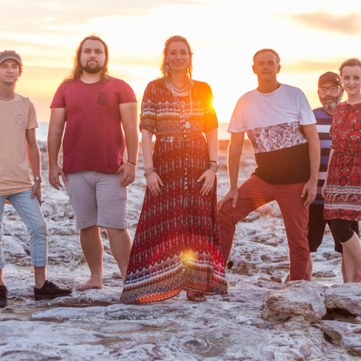 Australia's favourite kirtan band, Ashraya will be leading a journey through music that will take you worlds away from all the stresses and worries! Kick back and relax as the famous sun sets over the ocean, the perfect time of day to experience a musical meditation journey! Grab some food and come join us down at the beach for soul soothing experience that is kirtan! August is a special month, when thousands all over the world celebrate Lord Krishna's appearance in this world, Sri Krishna Janmashtami. Join Australia's favourite kirtan band Ashraya for a festival celebrating the transcendental embodiment of love, the Supreme Soul. If you love to dance, sing, and connect with like-minded people, you will not want to miss this magical night of soulful kirtan, dancing, devotion, and bliss. Find sanctuary and inner peace with Ashraya at the breathtaking George Brown Botanic Gardens! Nestled so close to the city yet feeling miles away, let the serene nature setting encourage you to shake off the stresses of everyday life and bathe in the sacred sounds of kirtan. 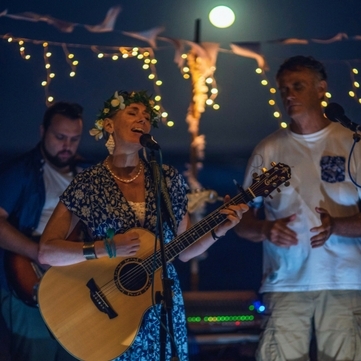 From laid back acoustic beats to upbeat, spirited rock out tunes, Ashraya has something for all of us, sharing the happiness kirtan brings them with everyone they meet. Plus hang out and share a vegan picnic with them after the kirtan! Bring vegan plate to share, picnic rug and cushions! 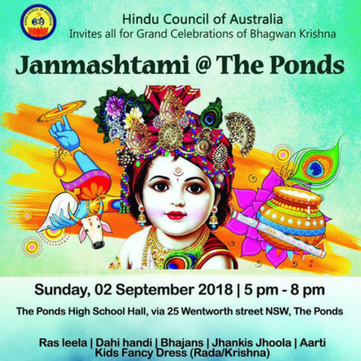 Join us at Hindu Council Of Australia's grand celebration of Shri Krishna Janmasthami! 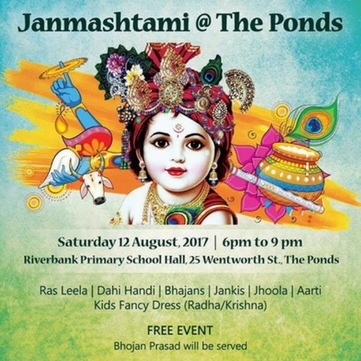 A free event celebrating the dear friend of all and the speaker of the Bhagavad Gita, Lord Krishna, it will be a night of joyful dancing, Krishna Jhoola, a delicious feast, and so much more. Don't miss this vibrant festival as we all remember and appreciate this most auspicious day, the Advent of Sri Krishna, the embodiment of unconditional spiritual love. This is an invitation to explore the wisdom of the yoga tradition, to gain insights into life's essential question "how can I find love and be truly happy?" 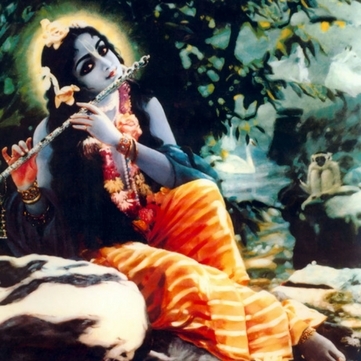 Radha Krishna das brings a modern understanding to these ancient and profound teachings. You will be introduced to wise new perspectives on life and learn authentic spiritual practices and methods of meditation that help you better understand the roots of happiness, love and inner-peace. 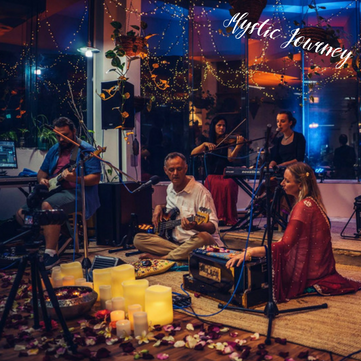 Also included in this wonderful session: A beautiful Journey to the Heart with leading kirtan band Ashraya - a blissful meditation experience featuring guided meditation, kirtan, yoga wisdom, and more! A community conscious event featuring fun and flowing yoga asana classes, yoga dance fusion, deep relaxation, yoga breathing, exciting kid’s games and activities, live music and kirtan (yoga chant), yoga wisdom and deep peace meditation. Kirtan! The ancient chants of India to the melodies, beats and rhythms of the modern world. 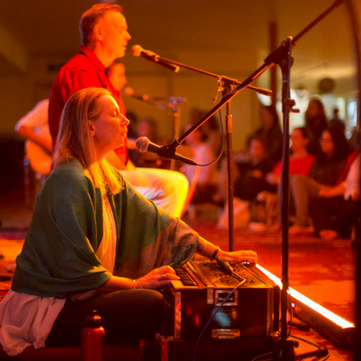 Get your mantra on with one of Australia’s leading kirtan bands, Ashraya, and be part of an amazing interactive muscial experience known as Kirtan. Meditation! Take a break and immerse yourself in blissful meditations to soothe your mind and heart. 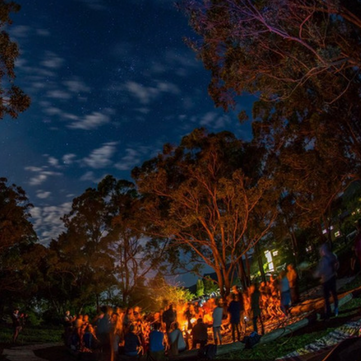 Welcome the warmer, brighter season of Spring with a mesmerizing night of kirtan bliss at Mt Tamborine! 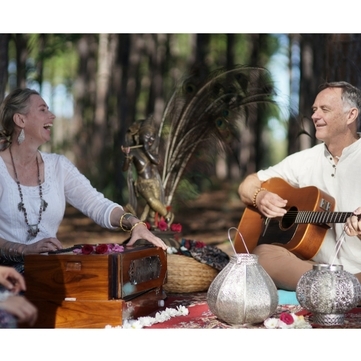 Hosted by Amethyst Healing House, join Ashraya for a breathtaking full moon kirtan in beautiful Mount Tamborine. The evening will be the perfect opportunity to escape the weekly grind for a night of soulful meditation amongst the lush greenery and peaceful surroundings of the Gold Cost Hinterland. Bask in the light of the gorgeous full moon with friends, old and new. Sit back, relax, and let Ashraya serenade you with tranquil kirtan that will wash away your stresses and fill your heart with joy. Plus! An inspiring talk with long-time yoga wisdom teacher Radha Krishna das. Don’t miss out on this chance to refresh and tune in with sacred sounds! This is an invitation to explore the wisdom of the yoga tradition, to gain insights into life's essential question "how can I find love and be truly happy? What better time to begin then now! Dinner and meditation included in the session. 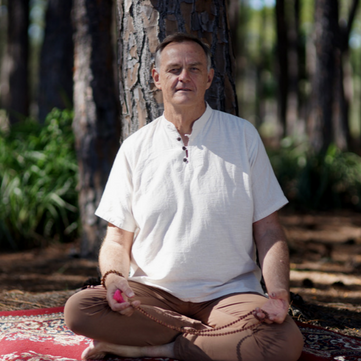 Coming to Tamborine for the first time, experience Ashraya's groundbreaking meditation Journey to the Heart! This spiritually infused soundscape begins slow and contemplative, with breath work, mantra, and conscious listening. From there, the music continues to build, the crescendo peaks enticing the audience to sync their movements with the ebbing and flowing of mantras, melody and rhythm. 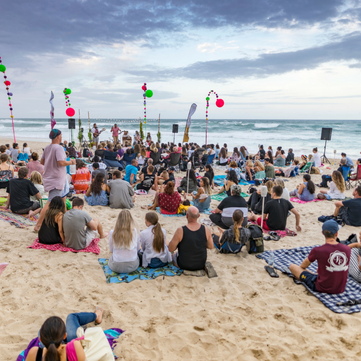 As you walk onto the beach on this perfect summer night, you'll find a blissful kirtan haven set up on the breathtaking Burleigh Heads Beach! Grab a comfy spot among friendly like-minded people in a space adorned with fairy lights and flowers. Watch the full moon rise while basking in the glow of sacred sounds. Bring a delicious vegan picnic, your best friends, and be ready for an unforgettable summer night of amazing music and timeless mantras, filling your heart with peace and joy. Don't miss out on the last beach kirtan of 2017! Walk into a room illuminated by fairy lights, lanterns, and songs of love for the most magical Christmas celebration of the season! Allow Ashraya to guide you through joyous kirtan as we remember the incredible life and teachings of Lord Jesus Christ. Let the soaring vocals of the highly anticipated and talented Choir of Angels sing you lullabies of love that will warm and comfort your heart. 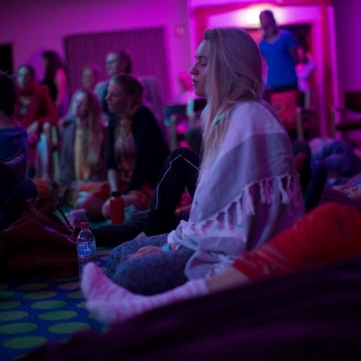 Join us for the perfect summer night of moonlit mantras and meditation! 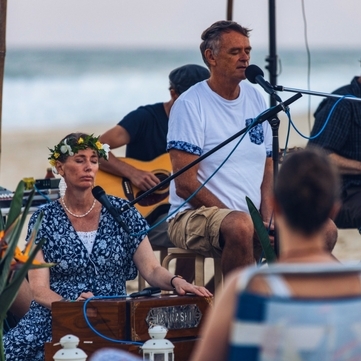 Watch the beautiful blue moon rise over the ocean as one of Australia's leading kirtan bands Ashraya serenades you with deeply moving sacred music. Bust out your flower crowns, grab your tribe, pack a delicious picnic, and get ready for a refreshing summer night of transcendental bliss! 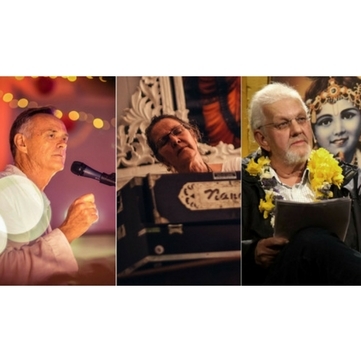 Join us for spiritually uplifting, vibrant live kirtan during New Zealand's 7th International Yoga Festival! Friday night: 5:30pm - 7pm on the Main Stage performing our groundbreaking meditation Mystic Journey for the first time in New Zealand! Saturday night 9pm - 10:30pm on the Main Stage with an expertly woven combination of both mellow and upbeat kirtan. 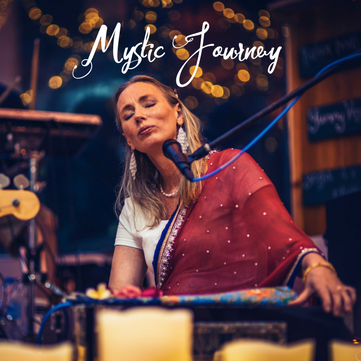 Ashraya​ ​expertly​ ​present​ ​an​ ​exciting​ ​and​ ​uplifting​ ​blend​ ​of soulful​ ​kirtan​ ​with​ ​the​ ​beautiful​ ​voice​ ​of​ ​Madya​ ​Lila​ ​leading one​ ​within​ ​to​ ​peace​ ​and​ ​joy. 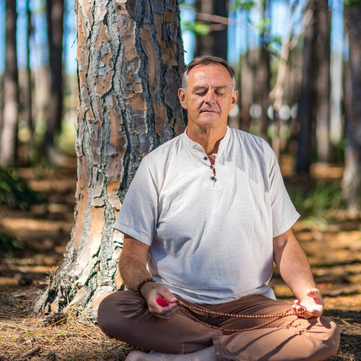 Coming to New Zealand for the first time, experience Ashraya's groundbreaking meditation Mystic Journey! This spiritually infused soundscape begins slow and contemplative, with breath work, mantra, and conscious listening. This beautiful sacred music seamlessly weaves a fusion of sacred mantras with world grooves that induces both contemplation and peacefulness, as well as light hearted and euphoric dance. Plus! Enjoy a delicious vegetarian meal. Run by donation. It's time for the most vibrant, joyous beach festival of the year! 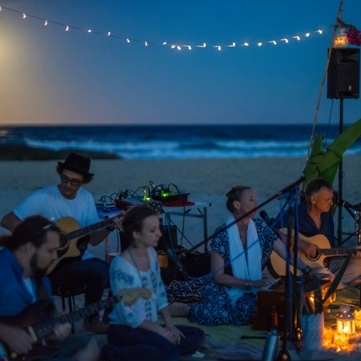 Enjoy relaxing guided meditations and soulful sacred music as the full moon rises over the breathtaking Burleigh Heads beach. The perfect way to shake off the stresses of the week and welcome the weekend, bask in the all satisfying glow of kirtan. Join us for an incredible night of sacred sounds, moonlight, bhajans, community, and spiritual bliss! Meditation, music, mantra - take a Mystic Journey on a river of sacred sound to the ocean of spiritual love. 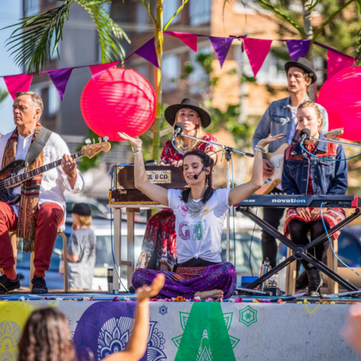 Join one of Australia's leading kirtan bands Ashraya for spiritually uplifting, vibrant live kirtan at Mind Body Spirit Festival -set in the iconic Darling Harbour precinct! Enjoy this seamlessly woven mix of sacred mantras with world grooves that induces both contemplation and peacefulness, as well as light hearted and euphoric dance. Through kirtan - the heart and soul of yoga - we can taste of the nectar for which we are always anxious, known by great sages and yogis as Bhakti: the soul’s experience of love for the All Love (the Supreme Soul) and all beings. 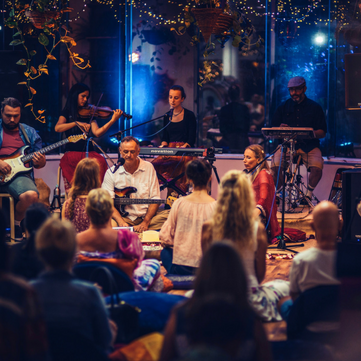 Catch one of Australia's leading kirtan bands for a soaring night of sacred music and a much-anticipated yoga wisdom talk on mindfulness with Radha Krishna das. Plus! 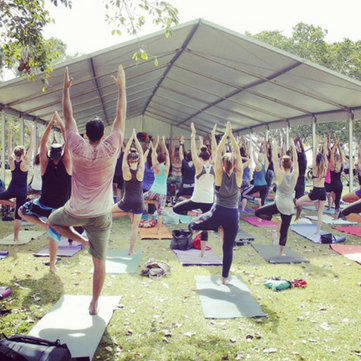 Wander into our meditation tent for rejuvenating deep peace sessions and yoga lifestyle workshops. And bring the little yogis to have fun in our famous kids’ yoga space with games, music, dancing and more! Grab some food and come join us down at the beach for soul soothing experience that is kirtan. 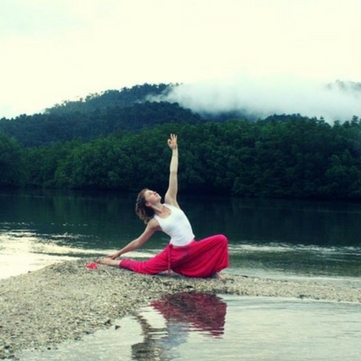 Coming to Darwin for the second time, experience Ashraya's groundbreaking meditation journey! This spiritually infused soundscape begins slow and contemplative, with breath work, mantra, and conscious listening. From there, the music continues to build, the crescendo peaks enticing the audience to sync their movements with the ebbing and flowing of mantras, melody and rhythm. Join the worldwide celebrations for the International Day of Yoga 2018. Awaken and share inner peacefulness, explore new ideas, make new friends and make a difference to the world. Join a group of talented yoga and meditation instructors and likeminded people for a transformational experience. 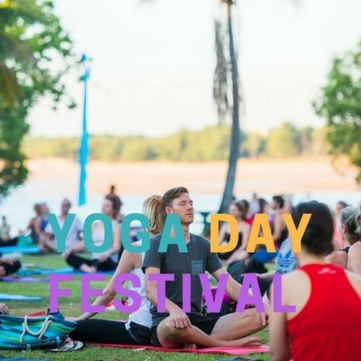 Whether you’re new to yoga or an experienced practitioner, you will absolutely love Darwin Yoga Day. 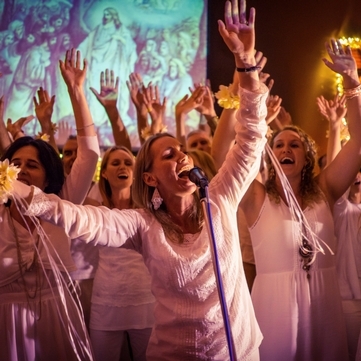 Join one of Australia's leading kirtan bands Ashraya for an ethereal evening of guided meditations, uplifting sacred music and blissful kirtans! Ashraya means "shelter", and the sacred mantras they share are the perfect shelter for a person to weather the storm of material life. Bring a vegan plate to share! As you arrive at Nadia Rainforest Retreat, allow the heart opening sacred sounds to lure you in through the mystical gardens, leading you towards the community bonfire. 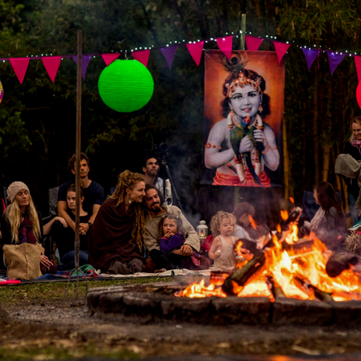 Lose yourself in kirtan; enjoy the magical setting of fairy lights, hay bales and a roaring bonfire; and get your fix of conscious community. 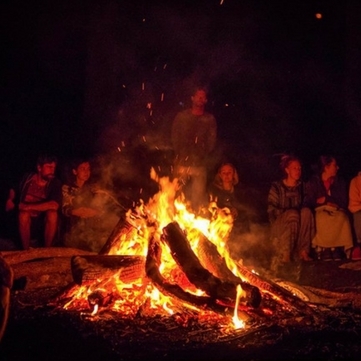 We invite you to come and sit back and relax under the stars or get up and dance around the fire. There is something for everyone to enjoy at this cosy Winter evening event! Would you like to live a joyful, purposeful life and face death fearlessly? Take this chance to explore the yogic perspective of death. Be inspired by powerful stories of ordinary people's extraordinary passing. Take practical steps towards creating a conscious death plan for yourself and learn how to support loved ones on the ultimate journey. Bring your questions! Our panel have a wealth of wisdom and real life experience to share. 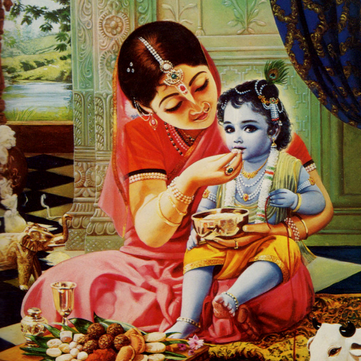 The auspicious advent of Sri Krishna is a worldwide time of joyous celebrations. 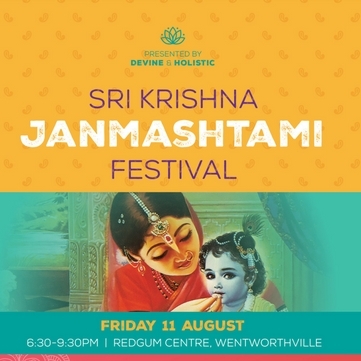 Join us for uplifting kirtan and peaceful meditations along with a bathing ceremony, arati, darshan, dance performances, jhoola, jhankis and delicious Krishna prasad. 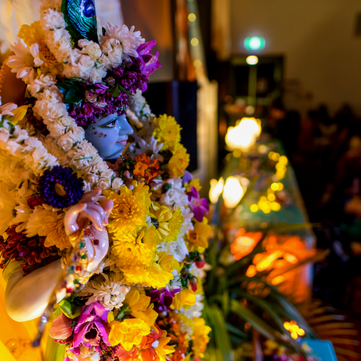 Hindu Council of Australia invites all for the grand celebrations of Bhagawan Krishna. The auspicious advent of Sri Krishna is a worldwide time of joyous celebrations. We invite you to join us for an immersive experience of inspiring Vedic stories, uplifiting kirtan and peaceful meditations, along with a hands on bathing ceremony (abishekam), and of course, a delicious Indian feast. Come together with hundreds of souls for this devotional festival as we celebrate the universally renowned jewel of yoga wisdom and the embodiment of spiritual love – The Supreme Soul, Sri Krishna. 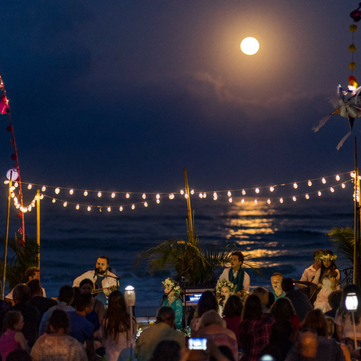 An iconic Gold Coast event, the Full Moon Beach Kirtan + Meditation is an experience like no other. Bring a picnic and enjoy a beautifully decorated, welcoming space by the ocean with our amazing local community. There’ll be kirtan, guided meditations under the full moon light and of course, dancing. the perfect opportunity to let go of all your stresses and enjoy an enchanting evening of star-lit sacred chant. Christmas is the most festive time of the year. A time we can all rejoice and revel in the spirit of giving and loving. 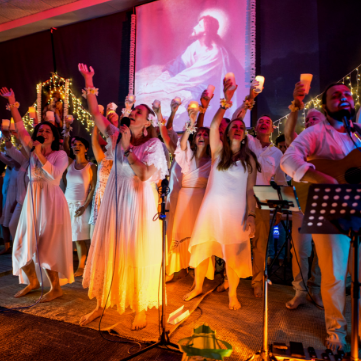 There is nothing quite like our end of year Christmas celebration - a heavenly evening of kirtan, feasting, friendship, and an inspirational short film on the incredible life of Lord Jesus Christ.